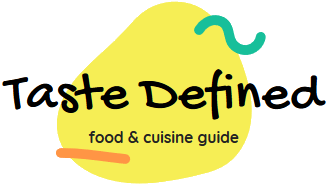 Blogging about cuisines and food in general is quite popular nowadays. Take the example of this blog. I started it without any planning and learned various important things during my early days of food blogging. Today I'm going to share some important guidelines (or prerequisites, in some cases) for making an awesome food blog. I've already applied some of the findings and some of them are in the pipeline. So let's get started and see how we can create an impressive food blog that's appreciated by the community built around it. Remember, even after including all these ingredients, it may take some time for the magic to happen. Here are some of the essential spices to liven up your food blog. Nurture your passion to experiment with new recipes - This is the key to creating a popular food blog. Publishing common or variants of such recipes is never going to make your food blog a popular destination. If you really want to make it big, try developing new recipes that are unique and easy to make. You don't need to be a formal chef or a certified recipe developer to kick start things. As I said earlier, all you need is the passion to experiment with whatever is available in your kitchen. Use step-by-step preparation illustrations - I'm going to use this technique in near future as it keeps the readers' glued to the post. 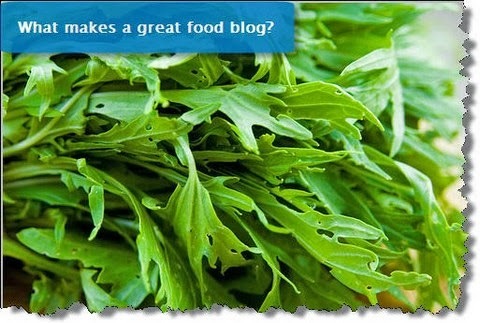 Lots of good food blogs use this method to spice up their posts. All you need is a good camera and a helper to take snapshots of the all major steps taken during the cooking session. Publishing these photos in chronological order makes the entire recipe making the process easy to understand. Prepare well categorized archives - Once of the most popular pages visited by large amount of traffic on a food blog is an archives page. If you're neglecting your archives page, you're restricting large number of engaged visit sessions that can be easily converted into subscribers. Instead of providing simple hyperlinks with post titles as anchor texts, use cropped images from the posts with alluring texts to get high click-through-rate. You can also showcase category-based best content on the archives page. Include correct measurements & cooking time - The importance of correct ingredients and that too in correct proportions is well-known to all of us. While writing a recipe post, double check the number of ingredients and the measurements written against each one of them. A single mistake can ruin the entire recipe as well as your hard earned reputation. The same thing applies to the duration for preparing the entire recipe. Always include the preparation time along with the main cooking period. Include support for printing the recipes - Almost every good food blog has one thing in common. They all have a handy 'Print' button on the post. A good number of visitors prefers to take a print out of the entire recipe so that they can reread it sitting in their drawing room. If you're not providing a handy print button right at the top or bottom of the post, you're definitely going to annoy these foodies. Encourage recipe improvements in the comments - This strategy can prove very useful in popularizing your food blog. If your readers give their inputs for improving the recipe in the form of comments, you must encourage it and if possible, you must consider featuring some of the best suggestions in a separate post. This not only brings new improved or different versions of the same recipe but also creates a strong community of readers which is so essential for the growth of any blog. Before implementing this strategy, create a comment policy page and prominently highlight it near the comment form to send a clear warning to the lurking trolls. Create a knowledge base of important kitchen terms & ingredients - This can make your food blog stand apart from the rest. Creating dedicated pages for popular cooking terms, ingredients and methodologies can give you an edge over other food bloggers. While writing general recipe posts, frequently link to your knowledge base articles to give a more helpful and resourceful post to the readers. This knowledge base can also contain frequently asked questions (FAQs). Remember, creating such kind of knowledge base can take some time, but it can yield big rewards for you in the long run.